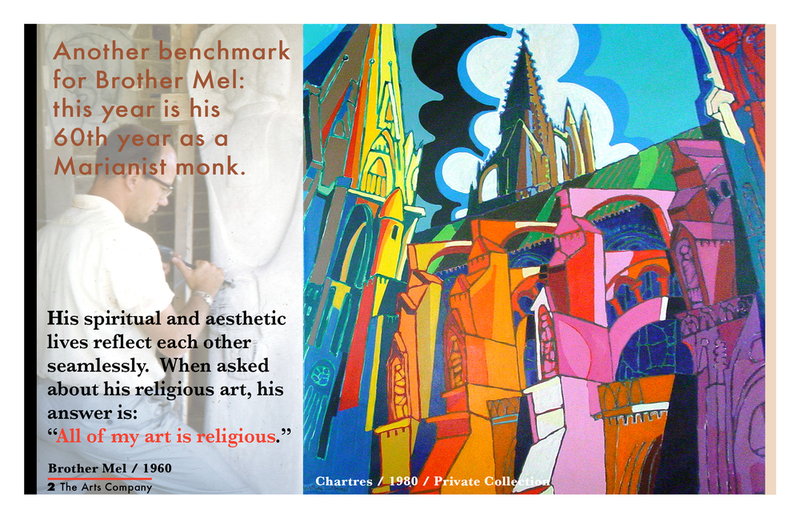 Brother Mel was our gallery's one-of-a-kind friend and artist. He continues to "...bring beauty to spaces to lift up spirits." Anyone who has encountered his work personally has experienced what some folks call the "Brother Mel Effect." For many years, we were able to celebrate his birthday with a new exhibit of his new work every year in June. Alas, this is the first year we cannot do that, though we do have a few stray pieces remaining in our gallery inventory. That aside, since his death last October, he continues to hold the position in our gallery as "our better angel." 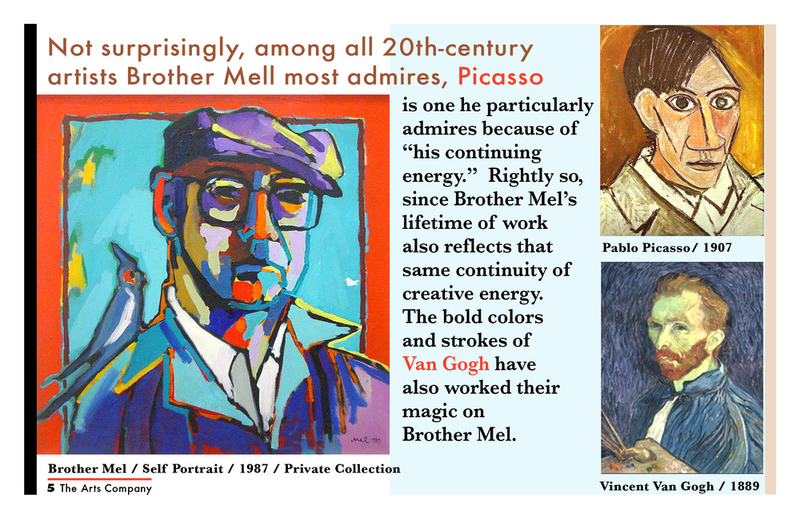 Each year, we called his exhibit "Brother Mel's Annual Artistic Pilgrimage to Nashville." And each year, he surprised us with new ways of making art, and also of bringing people to art as sheer joy of color, shape, and insight into things that matter, as visual experience that lingers in the mind. I am always reminded of a quote from Ezra Pound every time a good friend dies: "Nothing matters but the quality of the affection, in the end, that carves the trace in the mind where memory lives." 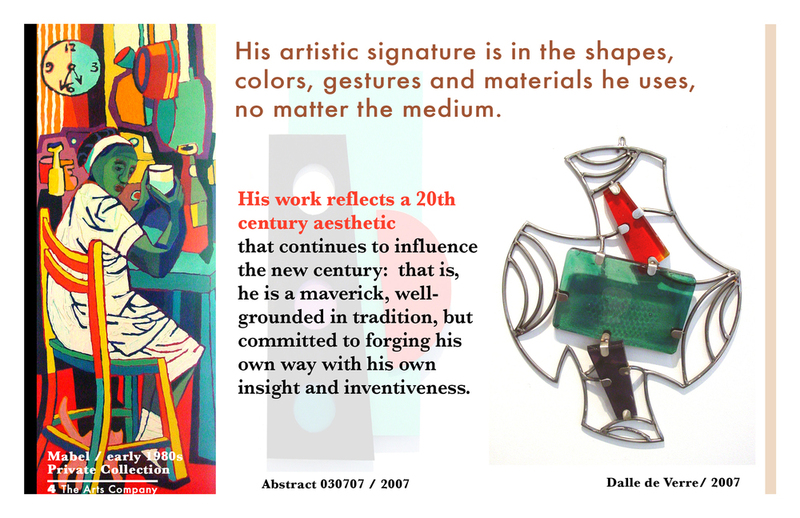 To commemorate his birthday, we are attaching the online catalog we produced a few years ago as a prelude to the book on his life and work that soon followed. 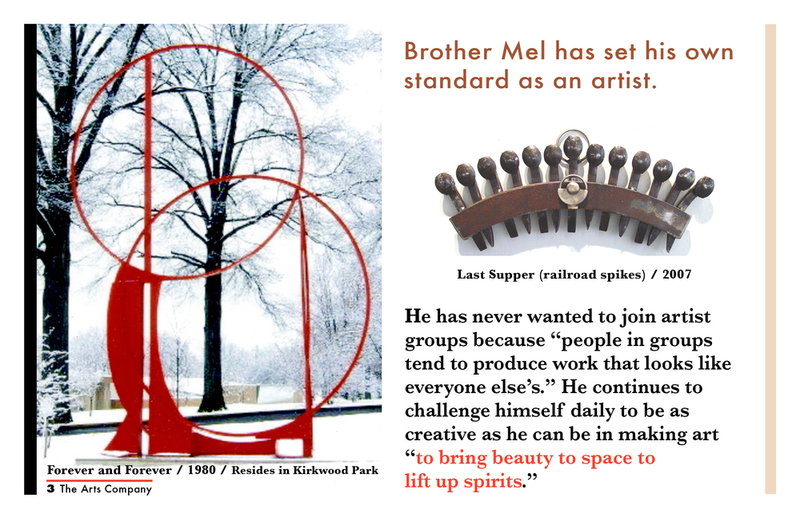 The book ended up with the title Brother Mel: A Lifetime of Making Art.